Heather Myers is weather anchor and news anchor for KFMB-TV in San Diego, California. Heather Myers delivers the morning forecast to San Diegans on CBS News 8 from 4:30-7am and again at 11am. She also anchors News 8 on the CW from 7-9am. This native San Diegan brings her journalistic experience, versatility and knowledge of our county to San Diego Monday through Friday mornings. 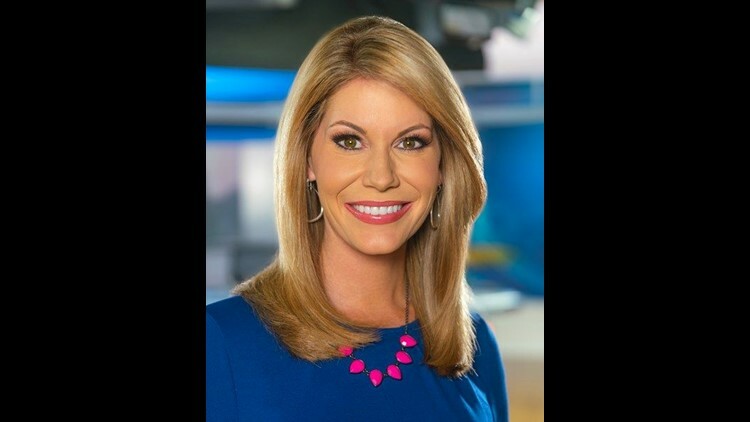 Heather originally joined CBS News 8 in 2003 as reporter/fill-in anchor, covering some of San Diego and Southern California’s largest stories, including the 2003 and 2007 wildfires. In 2007, she moved to San Diego 6 News as weeknight co-anchor, then morning anchor/host. Born in San Diego, Heather is proud graduate of Poway High School and San Diego State University, where she earned a degree in journalism. As a distinguished journalist, Heather is the recipient of eight Emmy Awards and two Associated Press Awards. She also shares her passion and commitment with several community organizations. "I have spent the past few years doing volunteer work with the San Diego based Salvation Army. I have also worked closely with the San Diego Humane Society as the chosen emcee for several of the organization's fundraising events. She is also a member of a North County community based non-profit called UNITE. A doting mom, Heather enjoys spending her time with her husband, two young boys and lab-mix Capone. “When the work day is done in the morning, I rush home to be with my sons. You’ll most likely find us at the park or exploring our county’s hidden treasures. On the weekends, we love cheering on the Padres or San Diego Gulls hockey team." You can connect with Heather, @HeatherNews8 or hmyers@kfmb.com.